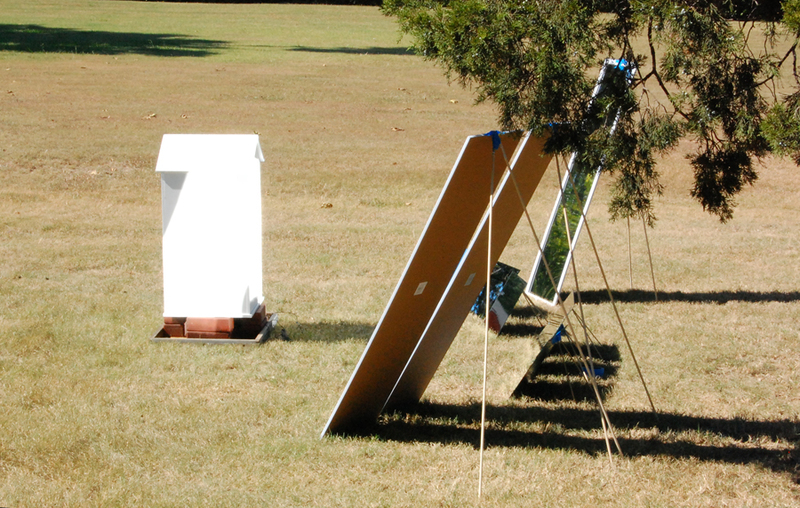 On one of the last really hot days of 2010 I set up the hive for a day of tests. 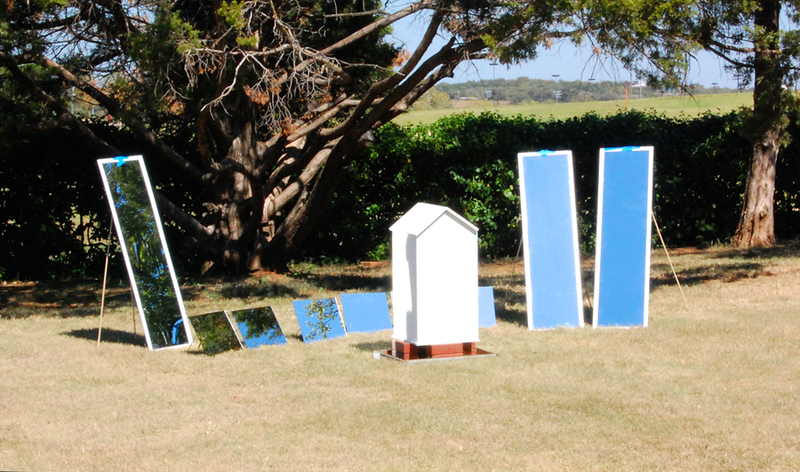 Using several mirrors to reflect the blazing sun on the hive, I was able to raise the temperature of the outside wall high enough that I couldn’t touch it. 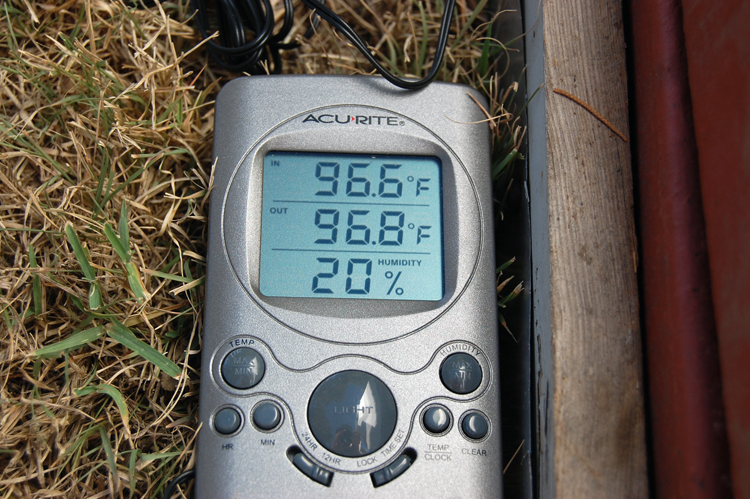 Pictured above is a thermometer displaying the temperature inside the hive as well as the ambient temperature in the shade. Throughout testing, the temperature differences changed plus or minus a degree. The double wall design works well. 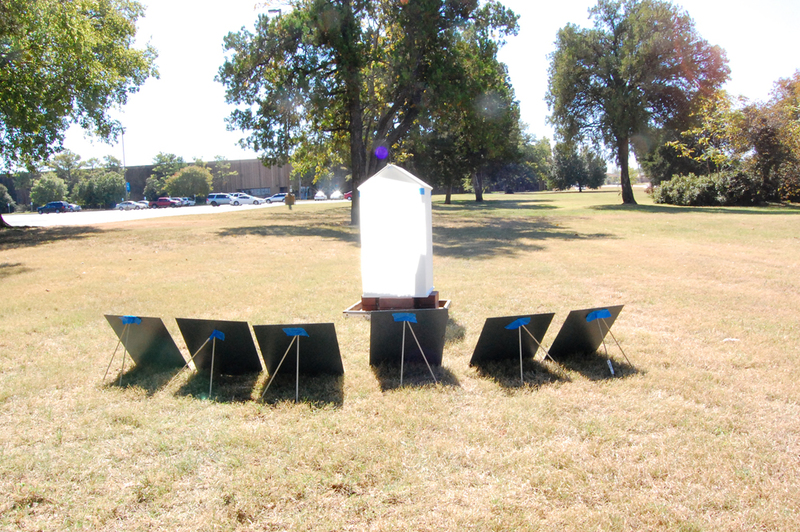 This will allow placement of the hive in direct sun as well as all hot or cold environments.